The concrete foundation slabs are going in right now as the Sinclair Rd area development takes shape. As mentioned in an earlier blog, the land adjacent to the Nicklaus Golf Course 12th and 13th holes (by Palmilla Ct) will make way for 120 luxury residential apartments by Debartolo Developments (Tampa, FL). 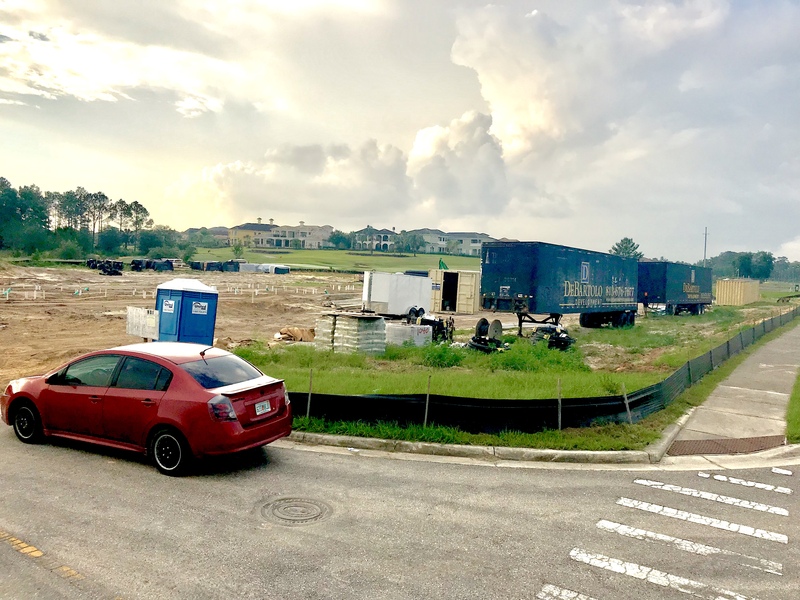 Debartolo are actively developing across the nation, with projects currently under way in Florida, including Lakeland and Windermere in the Central Florida region. We will bring further updates on the project over the coming weeks along with apartment pricing, floor plans and elevations. Main development will be on the South/East side of Sinclair Rd. Second, smaller area will be on the North/West side of Sinclair Rd.